Only one of the same Pet can be used to assist a Hero in battle. Pets come in two grades: Ordinary and Legendary. Different Pets can assist similar Heroes. E.g. : If you have two Paladins, they can each be assisted by a different Pet. Pets do not have basic attacks and can’t be attacked. They will move with their Heroes during a battle. Heroes can each be assisted by a Pet. The assisting Pet will unleash its skill during battle. The current maximum Pet level is Lv 30. The current maximum Pet Skill level is Lv 8. A Pet’s level must be increased to raise its maximum Skill level. 1. You have 2 free Egg Chances to get Pet Eggs daily. 2. You’ll receive a Pet Egg of a random grade each time you use an Egg Chance. 5. You’ll get an Egg Chance when you use 300, 600, and 900 Gems in a day, respectively. 3) Hatching Pet Eggs: Tap the Pet Plaza, then tap “Incubate” to access the incubation interface. 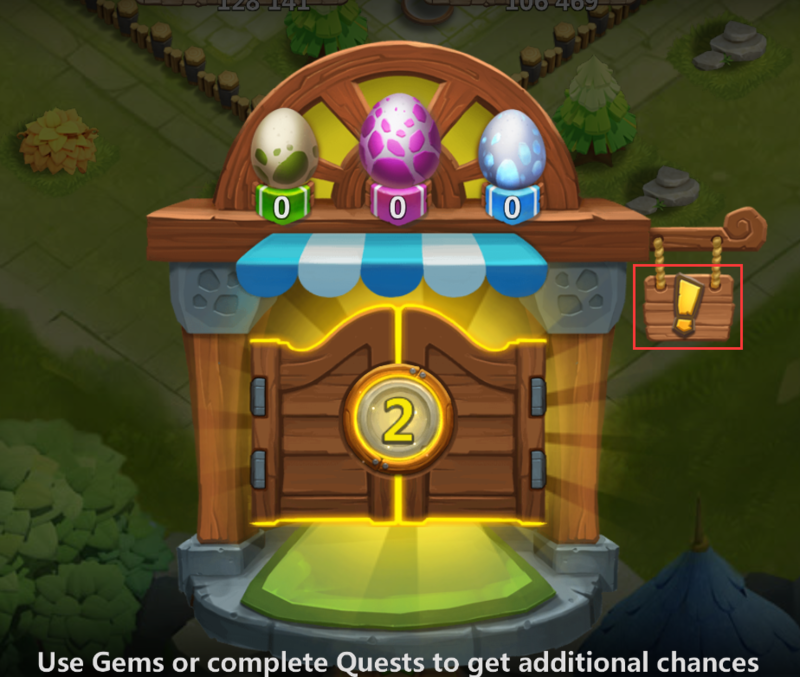 Gem button on the left: Immediately hatch the Pet Egg with Gems. 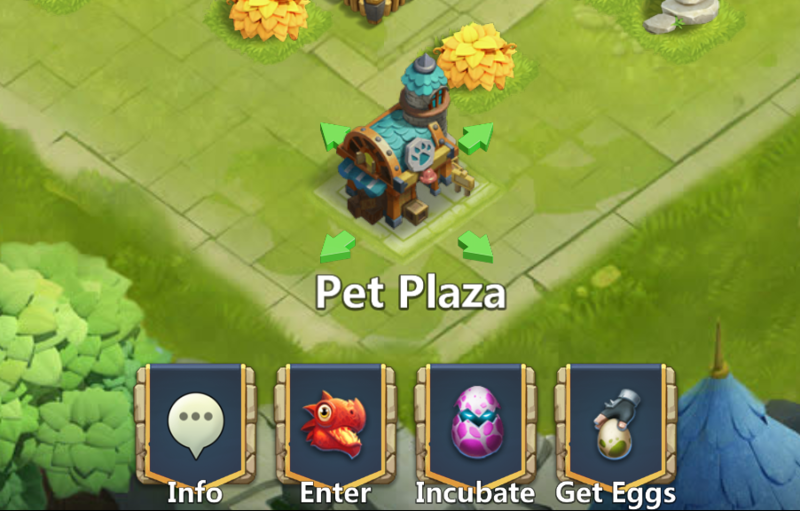 Pet List: Enter the Pet Plaza, then tap “Pet” to view your list of Pets. 1. Pet Assist: Tap the empty slot above a Pet to access the Pet Assist interface, where you can assign the Pet to a Hero. 2. Pet Quantity: This shows the number of copies you have of the same Pet. You can level up your Pet when you have the required number of copies. 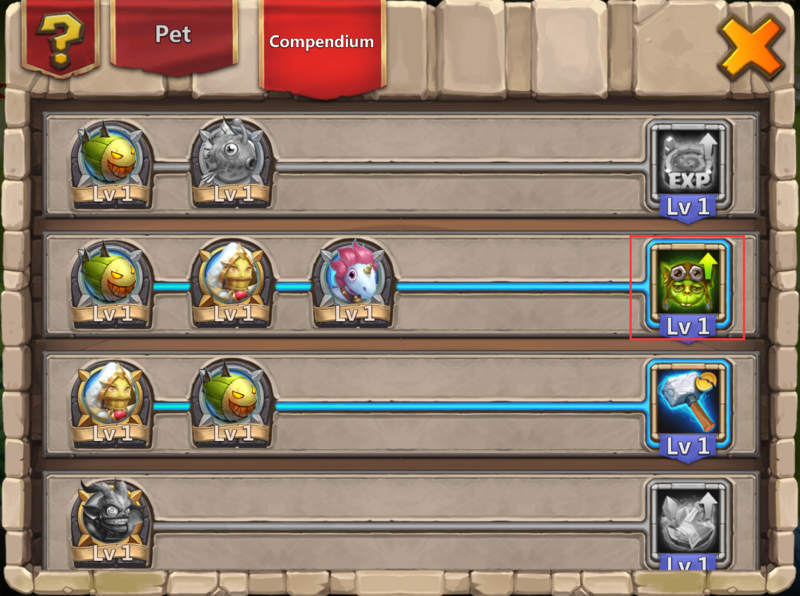 Pet Compendium: Tap “Compendium” to view the Pet Compendium. The system will grant you the corresponding Pet Boosts when you have the required Pets. The Pet Boost becomes more powerful when the corresponding Pets increase in level. Tap a Pet Boost’s icon to view the effects of that boost. There is a no" beside eache hero that show w need to collect 200 item to exchane any hero . what is that items ??? Where I can complete pet's quest? 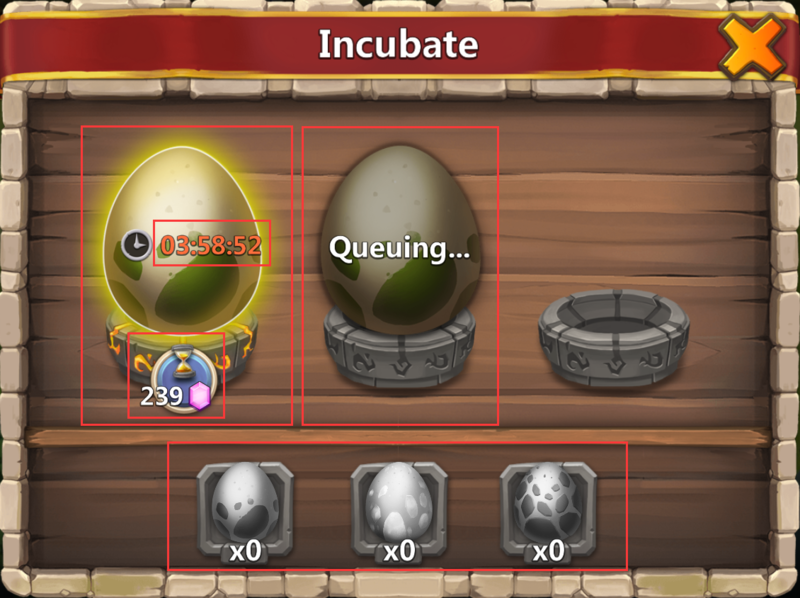 when pet first came there was a quest on the quest board said "hatch or incubate one pet egg" but I only saw it like 2 times and now I don't see anymore. Ohh i see, that makes sense, thanks ! 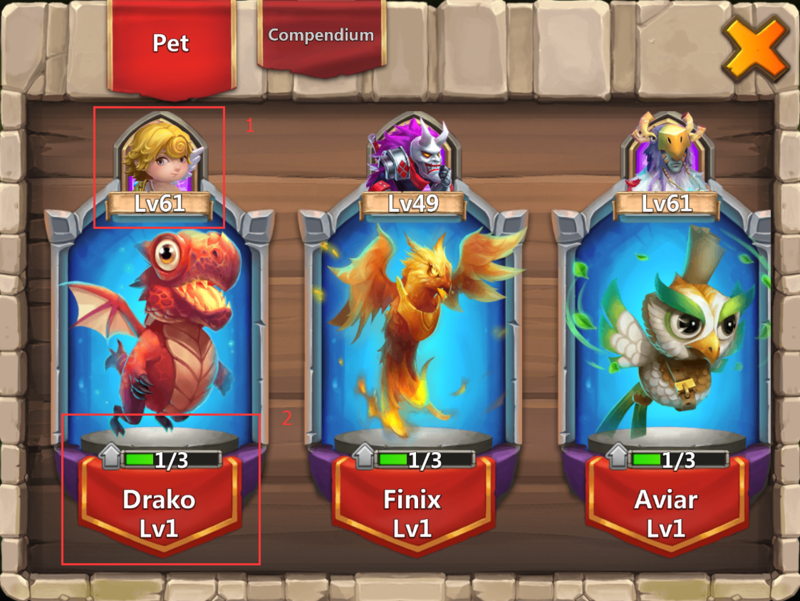 What the difference between ordinary and legendary pets? I agree I put he angel on my Pad too. Thanks for the post, extremely helpful. 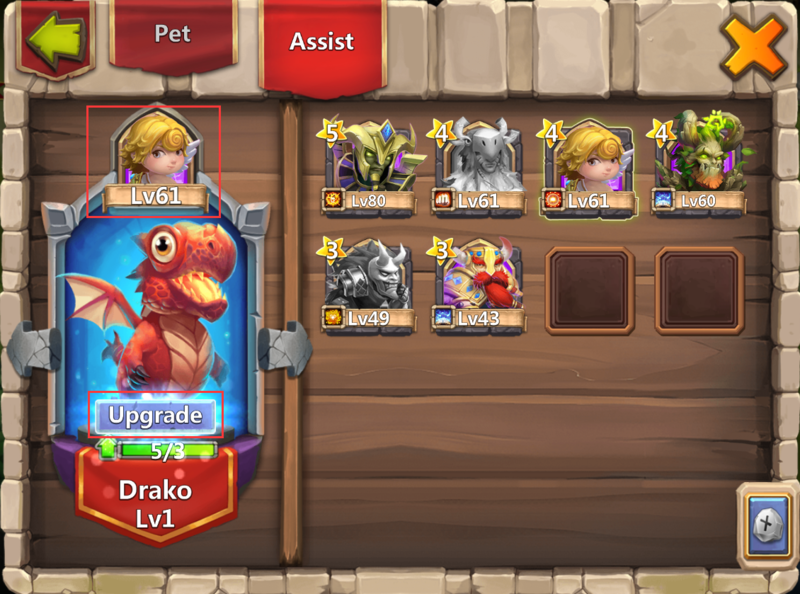 I'm excited that I'm making an extra 2 shards on every dungeon sweep (not the shard drop dungeons) and interested to see how much faster lava 3 goes.